Democratic Presidential candidate Hillary Clinton says the U.S. will never again put ground troops in Iraq or Syria. She says America will defeat ISIS without committing American soldiers. 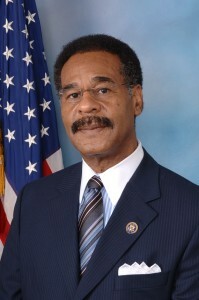 Congressman Emanuel Cleaver (D-Missouri) told MSNBC that Clinton misspoke. “I knew what she meant, which was we’re not going to put any additional troops on the ground. We’re not going to have a new batch of U.S. troops going into Iraq. I think it was just that simple,” says Cleaver. Republicans say Clinton’s statement wasn’t a mistake, since she emphasized it a few times. “I would like to see a President who ignores the joint chiefs. There is such a thing in government and decide to find some generals some place, maybe the Washington Generals, the baseball team, or football team, or track team or something that he can listen to. This is impractical,” says Cleaver. Clinton spoke Thursday night to the National Baptist Convention in Cleaver’s district in Kansas City.